The City of Huntington has teamed up with Cabell Huntington Hospital and Papa John’s on 9th Avenue to collect new and slightly-used Halloween costumes for the 5th annual Halloween Costume Drive for children who attend the A.D. Lewis Community Center. 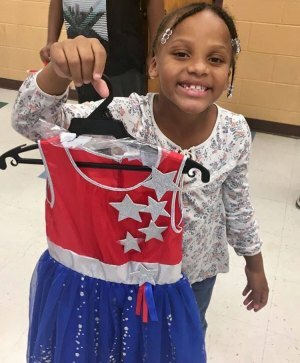 All donated costumes will be distributed to children at the Community Center during a Halloween party on Oct. 30, just in time for Trick-or-Treat on Oct. 31. -- Mayor’s Office at Huntington City Hall, 800 5th Ave.
-- A.D. Lewis Community Center, 1450 A.D. Lewis Ave. (next to White Way Cleaners on 10th Avenue). -- Administration Office of Cabell Huntington Hospital, located on the first floor (near outpatient testing/lab). -- Papa John’s, 1525 9th Ave.